LSU upset #3 undefeated Ole Miss on Saturday night in Red Stick. College Game Day was there. So were Jase and Willie from Duck Dynasty. Everyone on Game Day picked LSU accept Pollack. I can’t blame him. I picked Ole Miss as well. My dad called. We rarely talk on the phone. He’s happy he doesn’t have to hear Hotty Toddy for all the Rebel fans. He says they can be unbearable. The Saints won as well. It was a great football weekend. The MS Mullets are terrible, and we are thinking about moving our franchise to Shittim. It’s Monday morning. I’m not sure how my body knows it’s Monday. But it always does. I haven’t written a blog like this in a while. We ARE celebrating 10 years at Graystone. I loved watching the old video clips yesterday. We’ve had a lot of fun over the years. I asked Chris why he chose only videos with Heath in them. He said that Heath was in all the videos. He has quite a body of work…not his actual body. That Home Alone clip was down right embarrassing. Good thing Ashley skipped church yesterday. The baptisms were the highlight of the day. 18 people crashed the waters of baptism. Several siblings, young and old (not that old), got baptized together. And it was neat seeing Dads baptize their kids. I’m proud of both Tony and Brian. I had the opportunity to lead Brian to Christ in 1992 at the school formally known as West Georgia College. So, it was neat to see him baptize his daughter. And Tony and Becky Dudish were founding members of Graystone. I first met them before we even moved from TX to GA. They were a part of John Reeves’ house church, Lifehouse Church. They have been with us since negative day one. Jennifer and I were at the hospital the day Hudson and Walker were both born. I held them in my hands and prayed for their salvation. They were dedicated at Graystone. When we had the groundbreaking service on June 1, 2008 (when the loan fell through the next day), Tony and Becky wrote on their stake, Hudson and Walker’s salvation. 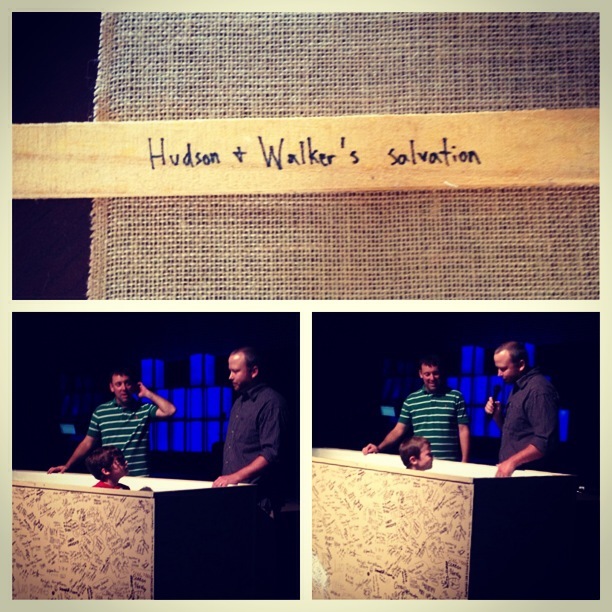 So to see them get baptized yesterday on the day that I shared about the biggest disappointment in Graystone history. WOW! God always has the best plan. All things do work together for the good of those who love him. I’m proud of Tony stepping up and baptizing the boys. Also, Easy E (aka Eric McKnight) baptized his son, Jacob. It was supercool. Jacob was dedicated at Graystone in December of 2015. Kurt McKee, one of the men in my discipleship group, witnessed both his mom and aunt get baptized yesterday at Graystone. And Mark Hitchcock finally crashed the waters of baptism. I’m so proud of him. It’s been a long time coming. I’m proud of all 18 people who went public with their faith in Jesus. 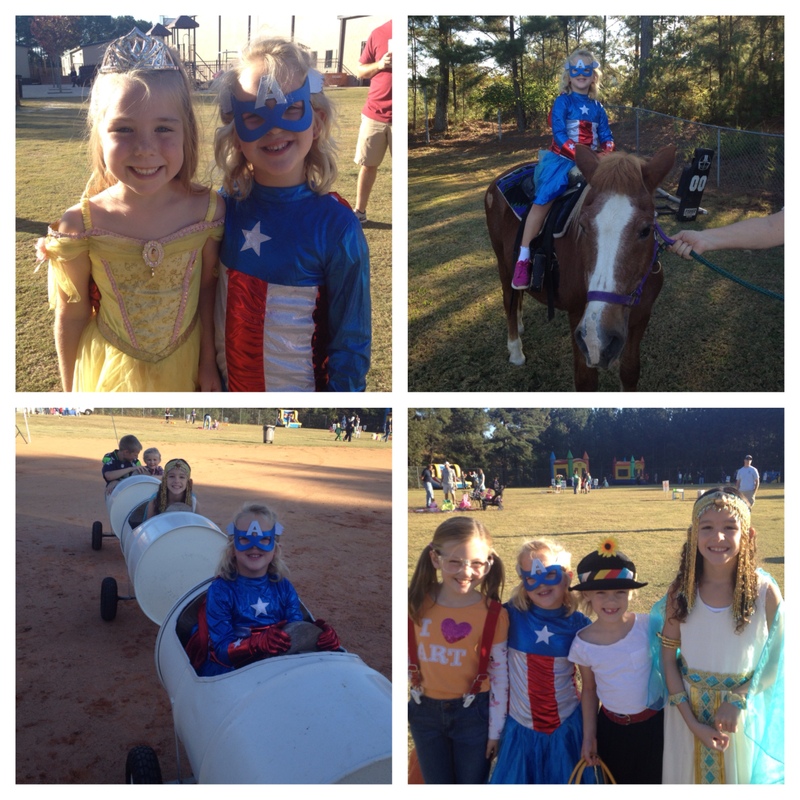 The Fall Carnival was blast. I’m not sure if this happened at Walton but a hot air balloon flew right over the Ozora property. One of the kids said, “I want to ride that ride.” I really appreciate Carolyn, Katie, Brie, our staff and all of our incredible volunteers for pulling off another great Fall Carnival. If the success is based on how much fun Jessie had, it was a HUGE success. I love our church. The best is yet to come. This next Sunday is Orphan Sunday. Then we have Graystone Serves. Then on November 16, I will be sharing the 10 year vision of Graystone. It should be challenging and a ton of fun. If you are still reading this, you are AWESOME! I loved reading and seeing all the names on the 10 year Graystone time-line. 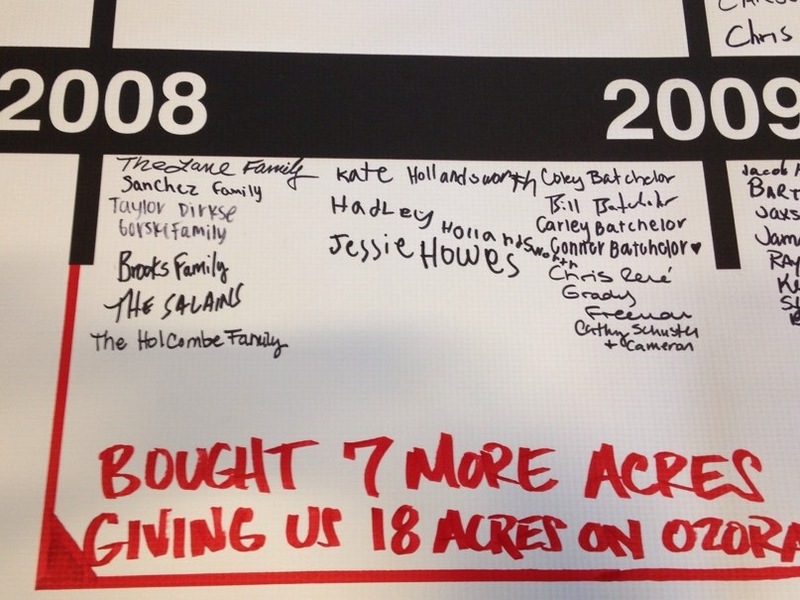 Jessie signed it yesterday in 2008 next to her buds, Hadley and Kate. I can only imagine what the youth group will be like when they are in high school. Who knows, Julia may be their Student Pastor. Check back tomorrow on the blog. I may step my game up. But I am not making any promises. Geaux Tigers! Who Dat! What a week at Graystone Church!